Summer is the perfect time for a family holiday. The warm weather is an inviting time for anyone to spend countless hours lying on sandy beaches and swimming in fresh seawater. Already, you are likely thinking about planning your next adventure, even if it’s still months away. Planning your travels will not only benefit the overall quality of your trip, but it will make you more excited for the departure date to arrive. It all starts with booking the necessary flight tickets, and everything else will follow. Here are a few tips that will help you plan your holiday together as a family. Depending on the age of the various members in your family, you should choose a location accordingly. Do you have young kids? Are your children grown up and are now young adults in their 20s? Considering that it’s a summer trip, you will want to choose a place that offers you the opportunity to swim and spend time on the beach. Cyprus Holidays offer visitors plenty of the aforementioned. This is in addition to countless opportunities for scenic hikes and activities that people of all ages can enjoy. The rest of the planning comes after you have chosen a place. In order for the trip to be a complete success, you will need to learn how to save money for it. Be realistic about what you can afford, and the sooner you start saving, the more money you can accumulate. No matter what, don’t let yourself go into debt as a result of your travels, as this defeats the purpose of coming back relaxed and refreshed. Imagine you are left without an accommodation and you have your flight booked to leave for your destination! Although this is a worst-case scenario, you still want to ensure that you book this in advance in order to find the most budget-friendly and comfortable place to sleep in at night. Have you thought about the activities that your kids can participate in on the trip? Their age is an important factor to consider, and you must also choose something that is available in the given location. For instance, if you are on a beach, snorkelling is an option for the entire family. On the other hand, if you decide to embark on a road trip on your travels as well, you can start to think of possible car games that everyone can play together to pass the time. The memories that you create with your family members is something that you will always remember and cherish. Plus, what better way to bond than in a tropical getaway? It’s very likely that all of your loved ones are overdue for some relaxation, whether it’s to take a break from work or even school. What are you waiting for? 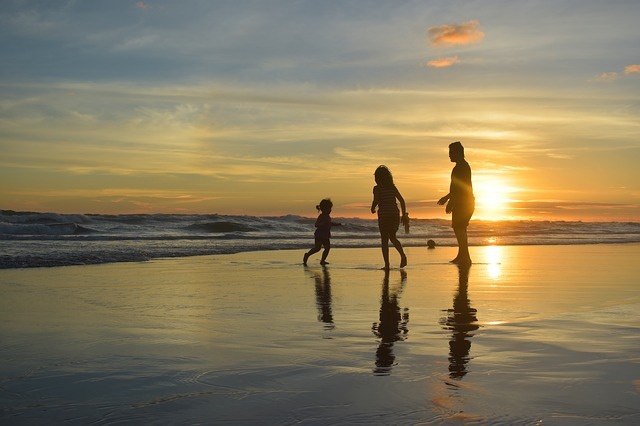 You should start planning your family holiday and keep the date of your holiday in mind, especially during those chaotic days where nothing seems to be going your way.